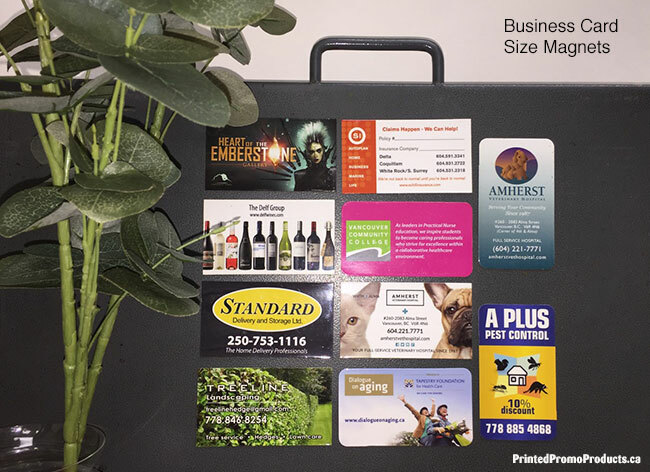 Advertise your promos, bring awareness to your brand and say thank you with our most popular size fridge magnets. 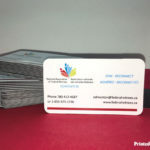 • Business Card Size: 3.5″ x 2″ with square or rounded corners. • 28 mil (28pt) thick with strong holding power, which means these magnets will not slide down the fridge and will hold paper in place. • Custom printed in full colour (CMYK) with a brilliant gloss laminate finish that will enhance your artwork. • Priced per unit (H). 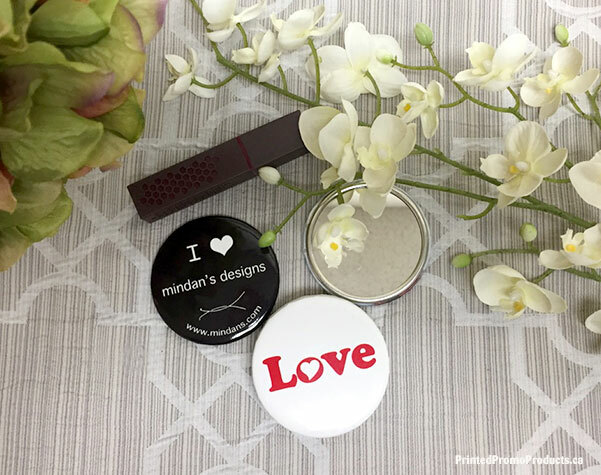 Visit our Magnets page for artwork guidelines and more details. • January 2018 to January 2019 calendar. 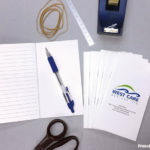 • Supply custom front & back covers and 12 photos or designs with your company info included. • Size: 11″ x 8.5″ when folded, opens to 11″ x 17″, saddle stitched, 1 hole drilled. • Custom printed in full colour (CMYK) on 80lb gloss text with a 80lb gloss cover. • Price includes placement of supplied designs on our standard template. • Extra charges apply to modify our template. • Production time is 5 to 7 working days after artwork approval. Contact us if you have any questions. 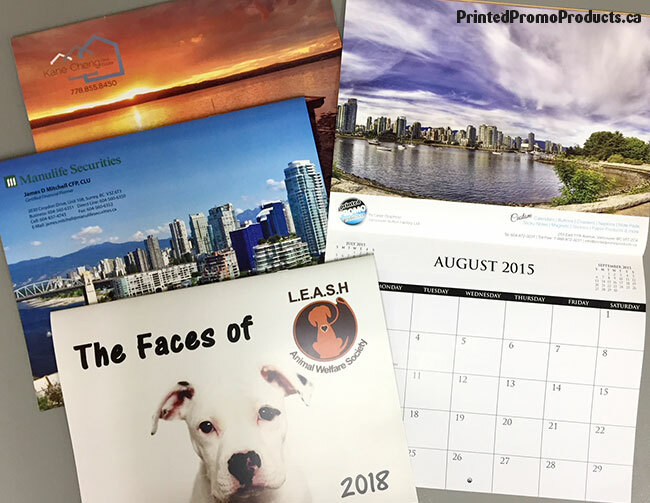 Visit our Calendar page for more info on our other calendar types. 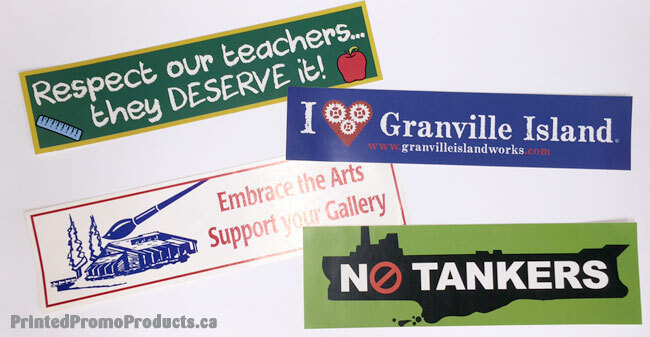 Custom bumper stickers are a great way to bring awareness to your brand, school and cause and also make perfect fundraisers. • Printed in full colour (CMYK) on vinyl adhesive stock. • Production time is 5 to 6 working days. Contact us if you have any questions. We’re here to help. 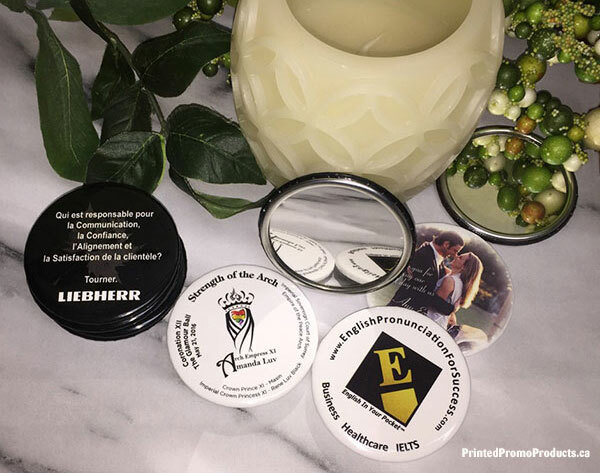 Visit our Stickers page to see what other adhesive products we make. 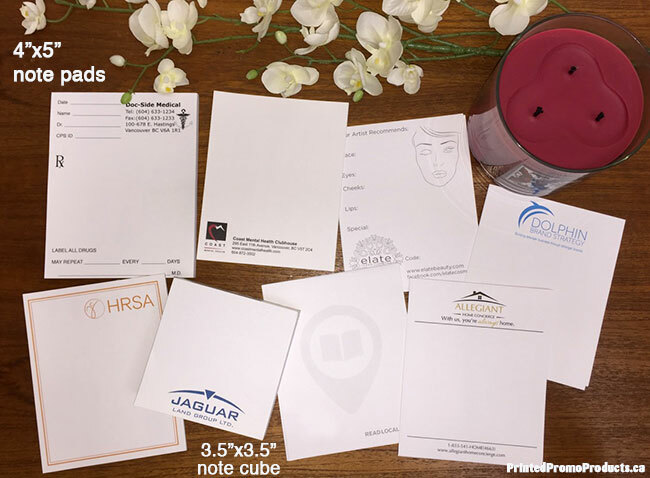 Notepads are great promotional items to giveaway and are perfect for notes, lists, prescriptions, raffles, referrals and more. 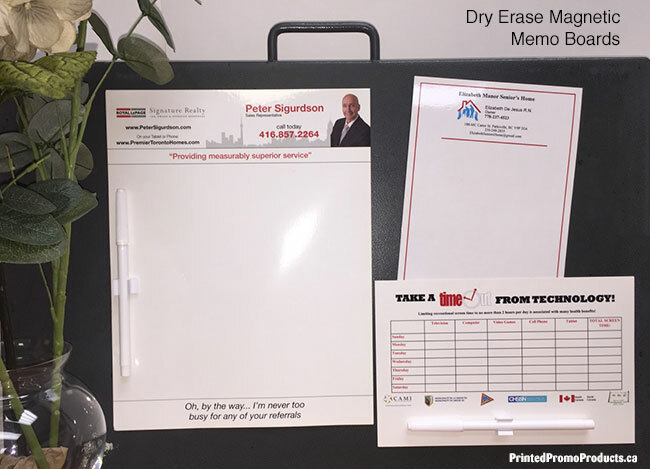 Get your brand or special cause noticed with these valuable desktop products. • Size: 4″ x 5″. • Based on light to medium ink coverage. * Based on press ready artwork supplied (1 common design). Contact us if you have any questions or visit our Note Pads page for more details. 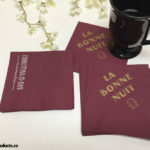 • Size: 3.5″ x 2″ with square or rounded corners. • 28 mil thick with strong holding power, which means these magnets will not slide down the fridge and will hold paper in place. • Custom printed in full colour (CMYK) with a brilliant, gloss laminate finish that will enhance your artwork.